Last update noted that Powell would likely set the tone for upcoming sessions, and set the tone he did. In his speech, he suggested that rates may be close to a "neutral policy level" -- the implication being that perhaps the Fed would slow or cease increasing rates in the near future. 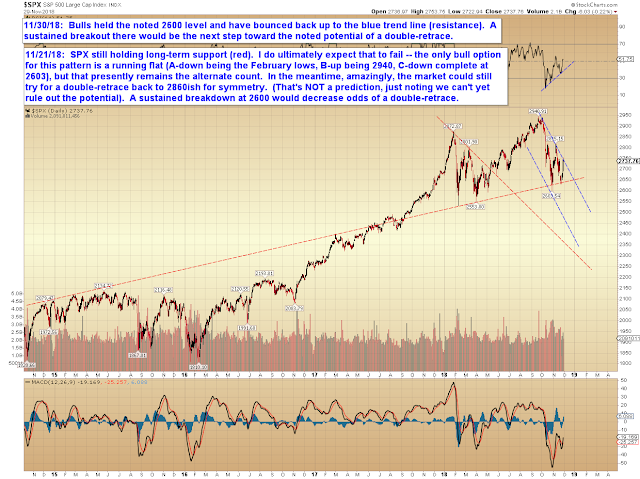 Which, as we discussed last update, would be helpful to equities. 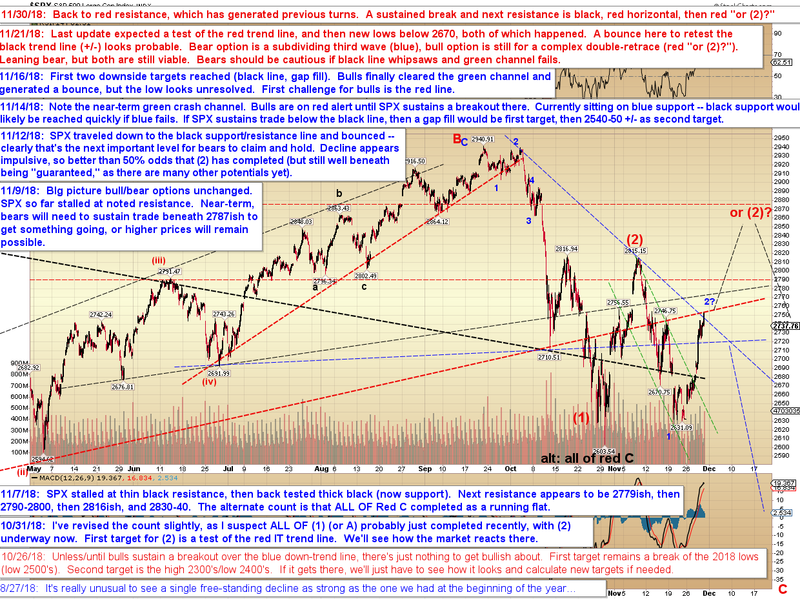 In the recent past, the red resistance zone has proved formidable, so bears have a genuine shot at turning it lower here. 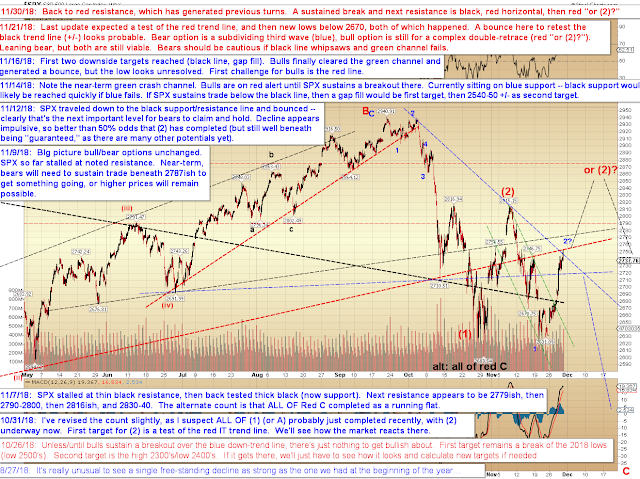 If they can't, the chart above outlines some of the next potential resistance zones. 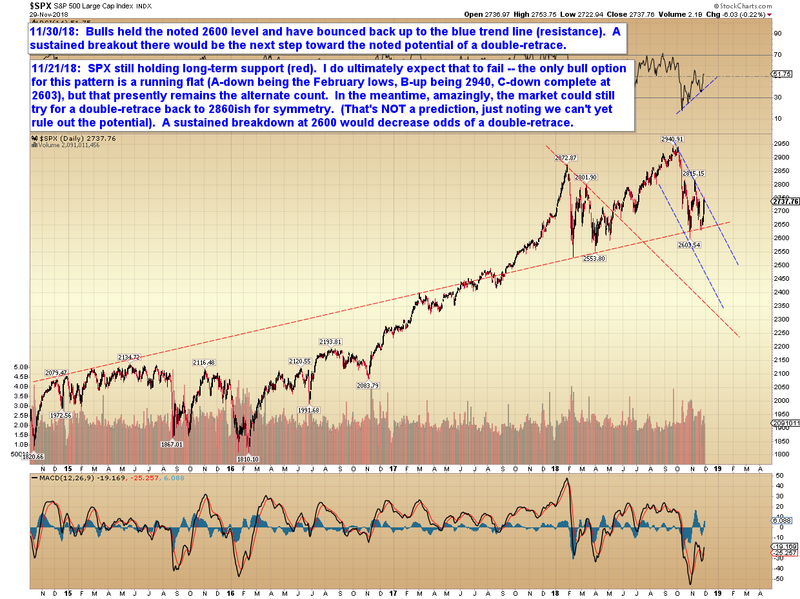 In conclusion, we've reached the next upside inflection zone, so it's up to bears to try and mount a defense. If they can turn it back down here and break the noted support zone on the second chart, then that would potentially be an extremely bearish setup for the immediate future. If they can't, then we could rally up toward red "or (2)." This is thus an inflection point. Publication Note: I'll be travelling over the next week, so updates may be non-existent until I return on December 9 (I've been known to do an occasional update even when I'm on vacation, so we'll see how it goes). In the meantime, trade safe.